Does Pennsylvania provide any funds contingent on test participation or test performance? No — school district performance on tests plays no role in securing state funding. Pennsylvania’s Basic Education Funding formula has no factor related to school or student performance on standardized tests (source). And there is no impact on Title I federal funding either (source). So there are no budgetary ‘stakes’ for our schools from PSSA results. The Education Empowerment Act (EEA) of 2000 appears to provide Pennsylvania with a non-fiscal point of leverage: the authority to intervene in local schools in the event of low academic performance. And this intervention has actually happened in several districts, notably Chester-Upland. Under the EEA, the state replaced the locally-elected school board with an appointed “special board of control” in 2000 (source). This took governance and control away from the local community and placed it in the hands of outsiders, who (theoretically) would make better decisions to improve the financial health and educational efficacy of the district. Under the EEA, PSSA results could therefore be part of the mechanism used to hold a school district accountable, by demonstrating that it is not fully educating its students. However the Education Empowerment Act expired in 2010 and was not renewed. 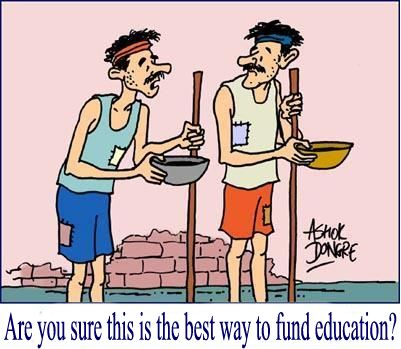 Therefore, the state is now authorized to intervene in local schools only in situations of financial distress. Poor test scores are no longer sufficient grounds for imposing State-level oversight. Are there any benefits for high-performing districts like UCFSD? Might we be exempted from regulations, reporting, and other state-mandates due to the success of our educational program? No. Districts that perform well on standardized tests are not exempted from any state regulations and reporting requirements. There are no reductions in state oversight that accrue to districts from doing well on the PSSA. So there are no regulatory or governance ‘stakes’. Test results may impact school districts in a third way. 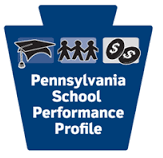 Pennsylvania, through the “School Performance Profile” grading system, gives local residents information by which to evaluate the performance of their schools. And local stakeholders can, through elected members of the school board, choose if, how and to what degree to hold the school district accountable for test results. The primary vehicle for board members to accomplish this would be to admonish or dismiss the superintendent for poor results, or reward and retain the superintendent for good results. So there are potential consequences to a superintendent. If test results are examined, if the community believes the superintendent is responsible, and if the school board chooses to act, then superintendents will feel consequences. However, I do not see the presence of PSSA test results as a decisive factor. Raising student achievement has been a primary objective of superintendents well before NCLB and the recent accountability movement. So PSSAs may provide a new method of measurement, but the objective itself is long-standing. In addition, superintendent tenure has never been that long … averaging 5-7 years in small- mid-size school districts, and even shorter in urban districts. It is not clear that NCLB has resulted in any increase in superintendent replacement rates. Finally, superintendents are often dismissed due to non-academic factors: a loss of trust, a scandal, or a change in school board composition. Student achievement is not usually the deciding factor. Finally, test results can impact the broader community through property values. School systems are ranked, compared, and profiled by numerous websites, magazines, and organizations, based on published PSSA results. In turn, these rankings are cited by real estate agents when marketing properties for sale. UCF’s high test scores raise our district’s ranking, which in turn raises demand for housing in the district, which in turn drives new development and maintains or raises property values. So existing residents have something at stake … the future value of their home should they choose to sell it. And high property values benefit everyone connected with the school, as stable funding means continuation of programs for students, and continuation of employment for teachers, support staff, and administrators. Short-term property values in our community are driven much more by the health of the economy. Higher GDP growth, and the associated increase in six-figure jobs, maintains demand for housing in Chester county. (According to IRS data, about one-third of households in UCF communities have taxable income in excess of $100k). We should also remember that when property values dropped in 2007-2009, it wasn’t due to a decline in PSSA scores, but rather due to a drop in overall economic activity and a tightening of credit. 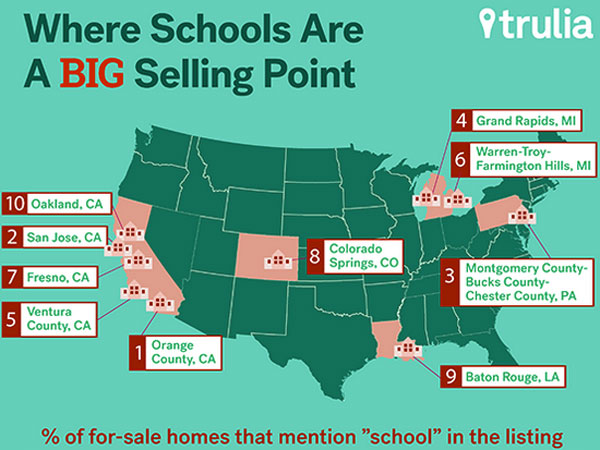 It is true that excellent schools (as measured in part by test scores) put a floor under local property values. UCF schools are definitely a selling point that attracts buyers. Even though property values declined in the 2007-2009 downturn, our property values dropped less than in many other communities. Many attribute this effect to the quality of our schools. We should also note that this “good school attracts residents” dynamic pre-dated NCLB in general, and the PSSAs in particular. Communities have always valued good local schools, including 40 years ago when I was in school. While the PSSA makes it easier to evaluate school quality and especially to compare across communities, it is hard to make the case the mere presence of a PSSA result has significantly altered the long-standing linkage between UCF schools and property values. So our community has a ‘stake’ in the success of our schools. Especially over the long-term, there are consequences to the community that are tied to school quality. And PSSAs are one indicator among many that signify school quality. What do school districts have at risk with testing? School systems have no money at risk from testing, nor any control at risk. Superintendents do have a bit brighter spotlight on them due to standardized testing and the PSSA. But the light was pretty bright before and shines from many directions, many of which have little to do with testing. And over the long-run, all residents have their property values at stake, although this connection is indirect and partial. Overall, I see moderate-to-low stakes for school districts from standardized testing.